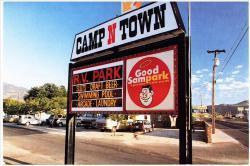 The Camp N Town RV Park sits right on North Carson Street, near the intersection with Hot Springs Road. 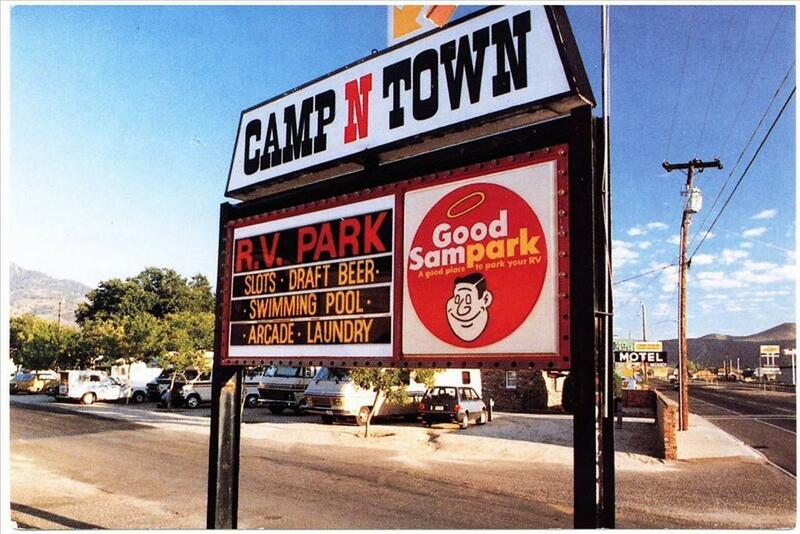 It's a "Good Sampark" and "A good place to park your RV." They offer a swimming pool, arcade, laundry, and of course, liquor and gambling. This sign still stands at the north end of town, but what is most notable about this photo are the things that are almost not in it. Look at the far right to see signs for some of the other North Carson businesses that no longer exist. The 49er Motel. The Scolari's supermarket, and the Thrifty Drug.